With its fun-to-drive nature, sophisticated engine, available all-wheel drive, comfortable and well-equipped interior and a plethora of advanced technologies, the 2017 Mazda CX-5 is an incredible choice for the compact crossover SUV segment. Whether you're a crossover shopper in Savannah, Beaufort or Hilton Head, we're confident you'll thoroughly enjoy the new Mazda CX-5. Come check it out at Fairway Mazda! Get ready for a thrilling driving experience in the Mazda CX-5. 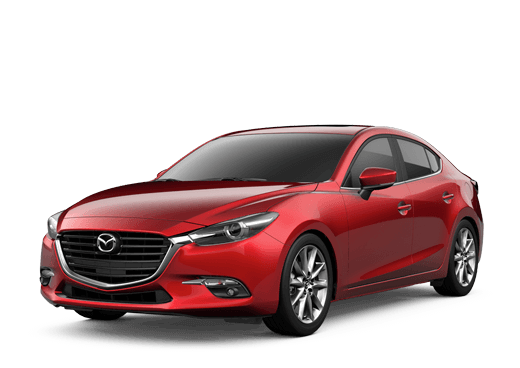 It's powered by the 2.5-liter four-cylinder SKYACTIV®-G engine, which delivers 187 horsepower and 185 lb-ft of torque, and a highway fuel economy of 31 mpg. The engine is mated to the smooth-shifting SKYACTIV®-DRIVE 6-speed automatic transmission. Mazda CX-5 buyers have a choice of the standard Front-Wheel Drive or available i-ACTIV All-Wheel Drive®, which gives the Mazda CX-5 excellent traction over challenging terrains and in adverse weather conditions. The Mazda CX-5 also comes standard with G-Vectoring Control, which improves handling, especially when driving through curves and around corners. The new Mazda CX-5 is well-equipped with a multitude of advanced technologies. This includes the MAZDA CONNECT™ infotainment system, which features a user-friendly full-color touchscreen display, as well as an impressive array of entertainment and connectivity features. For an enhanced driving experience, the Mazda CX-5 Grand Touring Premium Package comes with the Active Driving Display, which projects driving information directly onto the windshield. The system also comes with a useful Traffic Sign Recognition feature. Additional driver assistance technologies for the Mazda CX-5 include the available Mazda Radar Cruise Control and Blind Spot Monitoring with Rear Cross Traffic Alert. Here at Fairway Mazda, we welcome Savannah-area crossover shoppers to see the impressive capabilities and features of the 2017 Mazda CX-5. Our family-owned business has been in operation for more than 70 years, and we firmly believe in delivering quality, not quantity, as well as a low-pressure car buying experience. Also, we have much respect for the men and women who are stationed at the military bases in the Savannah-area, and that's why we offer a new car discount for military service members.